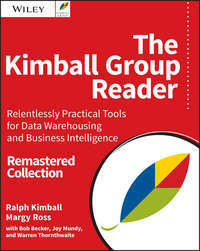 The final edition of the incomparable data warehousing and business intelligence reference, updated and expanded The Kimball Group Reader, Remastered Collection is the essential reference for data warehouse and business intelligence design, packed with best practices, design tips, and valuable insight from industry pioneer Ralph Kimball and the Kimball Group. This Remastered Collection represents decades of expert advice and mentoring in data warehousing and business intelligence, and is the final work to be published by the Kimball Group. Organized for quick navigation and easy reference, this book contains nearly 20 years of experience on more than 300 topics, all fully up-to-date and expanded with 65 new articles. 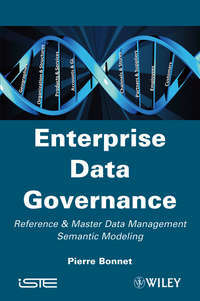 The discussion covers the complete data warehouse/business intelligence lifecycle, including project planning, requirements gathering, system architecture, dimensional modeling, ETL, and business intelligence analytics, with each group of articles prefaced by original commentaries explaining their role in the overall Kimball Group methodology. Data warehousing/business intelligence industry's current multi-billion dollar value is due in no small part to the contributions of Ralph Kimball and the Kimball Group. 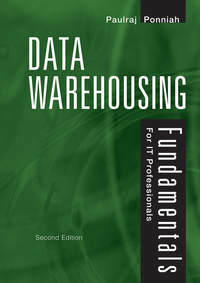 Their publications are the standards on which the industry is built, and nearly all data warehouse hardware and software vendors have adopted their methods in one form or another. This book is a compendium of Kimball Group expertise, and an essential reference for anyone in the field. Learn data warehousing and business intelligence from the field's pioneers Get up to date on best practices and essential design tips Gain valuable knowledge on every stage of the project lifecycle Dig into the Kimball Group methodology with hands-on guidance Ralph Kimball and the Kimball Group have continued to refine their methods and techniques based on thousands of hours of consulting and training. This Remastered Collection of The Kimball Group Reader represents their final body of knowledge, and is nothing less than a vital reference for anyone involved in the field. Provides the fundamentals, technologies, and best practices in designing, constructing and managing mission critical, energy efficient data centers Organizations in need of high-speed connectivity and nonstop systems operations depend upon data centers for a range of deployment solutions. A data center is a facility used to house computer systems and associated components, such as telecommunications and storage systems. It generally includes multiple power sources, redundant data communications connections, environmental controls (e.g., air conditioning, fire suppression) and security devices. 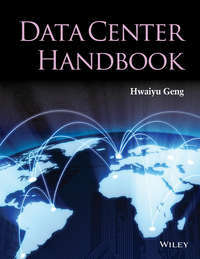 With contributions from an international list of experts, The Data Center Handbook instructs readers to: Prepare strategic plan that includes location plan, site selection, roadmap and capacity planning Design and build «green» data centers, with mission critical and energy-efficient infrastructure Apply best practices to reduce energy consumption and carbon emissions Apply IT technologies such as cloud and virtualization Manage data centers in order to sustain operations with minimum costs Prepare and practice disaster reovery and business continuity plan The book imparts essential knowledge needed to implement data center design and construction, apply IT technologies, and continually improve data center operations. In an increasingly digital economy, mastering the quality of data is an increasingly vital yet still, in most organizations, a considerable task. The necessity of better governance and reinforcement of international rules and regulatory or oversight structures (Sarbanes Oxley, Basel II, Solvency II, IAS-IFRS, etc.) imposes on enterprises the need for greater transparency and better traceability of their data. All the stakeholders in a company have a role to play and great benefit to derive from the overall goals here, but will invariably turn towards their IT department in search of the answers. However, the majority of IT systems that have been developed within businesses are overly complex, badly adapted, and in many cases obsolete; these systems have often become a source of data or process fragility for the business. It is in this context that the management of ‘reference and master data’ or Master Data Management (MDM) and semantic modeling can intervene in order to straighten out the management of data in a forward-looking and sustainable manner. 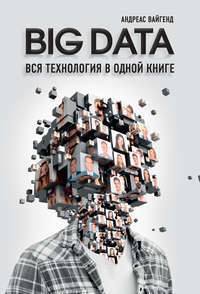 This book shows how company executives and IT managers can take these new challenges, as well as the advantages of using reference and master data management, into account in answering questions such as: Which data governance functions are available? How can IT be better aligned with business regulations? What is the return on investment? How can we assess intangible IT assets and data? 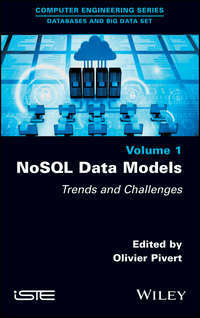 What are the principles of semantic modeling? What is the MDM technical architecture? In these ways they will be better able to deliver on their responsibilities to their organizations, and position them for growth and robust data management and integrity in the future. 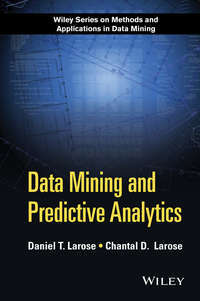 Data mining is the process of automatically searching large volumes of data for models and patterns using computational techniques from statistics, machine learning and information theory; it is the ideal tool for such an extraction of knowledge. Data mining is usually associated with a business or an organization's need to identify trends and profiles, allowing, for example, retailers to discover patterns on which to base marketing objectives. 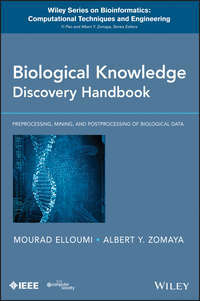 This book looks at both classical and recent techniques of data mining, such as clustering, discriminant analysis, logistic regression, generalized linear models, regularized regression, PLS regression, decision trees, neural networks, support vector machines, Vapnik theory, naive Bayesian classifier, ensemble learning and detection of association rules. They are discussed along with illustrative examples throughout the book to explain the theory of these methods, as well as their strengths and limitations. 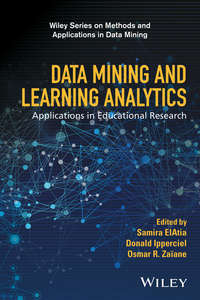 Key Features: Presents a comprehensive introduction to all techniques used in data mining and statistical learning, from classical to latest techniques. Starts from basic principles up to advanced concepts. Includes many step-by-step examples with the main software (R, SAS, IBM SPSS) as well as a thorough discussion and comparison of those software. 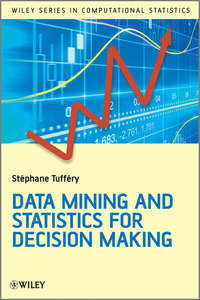 Gives practical tips for data mining implementation to solve real world problems. Looks at a range of tools and applications, such as association rules, web mining and text mining, with a special focus on credit scoring. Supported by an accompanying website hosting datasets and user analysis. 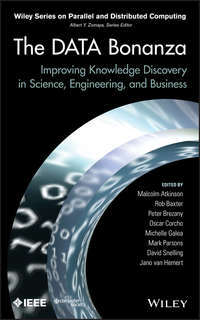 Statisticians and business intelligence analysts, students as well as computer science, biology, marketing and financial risk professionals in both commercial and government organizations across all business and industry sectors will benefit from this book.